"I had the privilege of working with Mark for three years. Mark provided me with exceptional leadership and guidance. He is a very caring individual who takes pride in his work and shows a tremendous amount of support for his team members." "If you work just for the money, you'll never make it, but if you love what you're doing and you always put the customer first, success will be yours." We have redesigned our website, in order to better serve our clients. Our new design offers flexibility as well as what we hope is a touch of class. It also is a partially modular and compact design which enforces our beliefs in efficiency. "taking companies and their leaders to the next level"
Our process has driven over $100 million in new product and new market sales. We drive sales and bottom line profits by challenging the traditional paradigm with what we refer to as "the art of thoughts" We enhance the best practices that are adding value while recommending adjustments for their business while they work in their business. We challenge the existing paradigms that may be inhibiting growth and implement strategies and process controls that result in significant, measurable, profitable results. Our gift is seeing your business objectively, using assessment tools coupled with over 20 years of industry experience driving profitable growth. 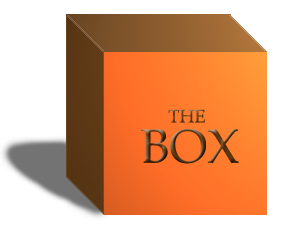 Often client teams are focused "in" their business, their perceived boxes, with defined roles and historical paradigms. We challenge the paradigms that limit growth and implement proven best practices from other industries and experiences. "In over 90% of the work we do with clients the uncut diamond lays dormant, waiting for someone to discover it, shape it, and increase its value. That is what we do." "Mark is one of those that can connect the dots. He's naturally innovative and creative. His broad business background enables him to carry concepts over from other industries. He's able to see things and make connections others are blind to. His energy and excitement is contagious." We help you in the areas you determine need improvement. Using our "client diagnostic assessment" (CDA) we help you determine the area(s) to focus on and develop a plan. Taking a research based approach we asses your company, products, and team members as well as your market and competitors. Often times the result is Out-of -the Box solutions. Driving sustainable profitable results is what our client's desire. Our research based integrated approach with defined, measurable performance metrics that produce results. "Mark has the unique ability to look at a business and find ways to make it grow. Mark utilizes his vast business experience along with his high level of creativity to maximize any business. Mark is an extremely talented, ethical business man."